More than 400 Americans – including 26 in Houston – were charged with healthcare fraud for $1.3 billion in false billings during a recent nationwide sting by the Medicare Fraud Strike Force. If you face such a charge and need healthcare fraud legal defense, alert veteran Houston criminal defense lawyer Neal Davis for help with your case. The healthcare fraud sting in Houston focused on a doctor and clinic manager who were referenced in a statement by U.S. Attorney General Jeff Sessions when he announced the sting. Indicted on July 6 by a federal grand jury in Houston was Dr. Gazelle Craig. Craig, age 41, was a licensed Houston physician specializing in pain management at the Gulfton Community Health Center at 6306 Gulfton Street. Craig was accused of distributing 12,000 opioid prescriptions for over two million doses of painkillers to patients for whom they were not medically necessary. Also indicted was Shane Faithful, 48, owner and administrator of the clinic. Craig allegedly gave dozens of patients unneeded pain prescriptions for hydrocodone, a highly addictive opioid, and carisoprodol, a muscle relaxer often taken by non-medical users to raise the “high” when taking hydrocodone. Such patients reportedly paid $300 up-front to see Craig, who received her medical license in 2015. The Gulfton pain management clinic was reportedly the highest prescribing hydrocodone clinic in Houston, seeing 60 to 70 persons daily. Texas officials say Craig gave “inadequate” exams which did not justify prescribing the highly addictive drugs. She and Faithful both face one count of conspiracy to unlawfully distribute and dispense controlled substances, and three counts of unlawfully distributing and dispensing such drugs. Two dozen other persons in the Southern District of Texas also face allegations of defrauding the government. Total cost for the Texas healthcare fraud cases is estimated at $66 million. Those snared in the sting’s web were targeted by a national effort considered to be the biggest healthcare fraud enforcement action in the history of the U.S. Department of Justice. Nationwide, more than 120 persons were allegedly involved in prescribing and distributing opioids and other narcotics. They, too, are believed to have charged for medically unnecessary prescription drugs and compounded medications, which sometimes weren’t even purchased or distributed. Such practices led to a reported $1.3 billion in false billings to Medicare, Medicaid and TRICARE, Justice Department officials said. 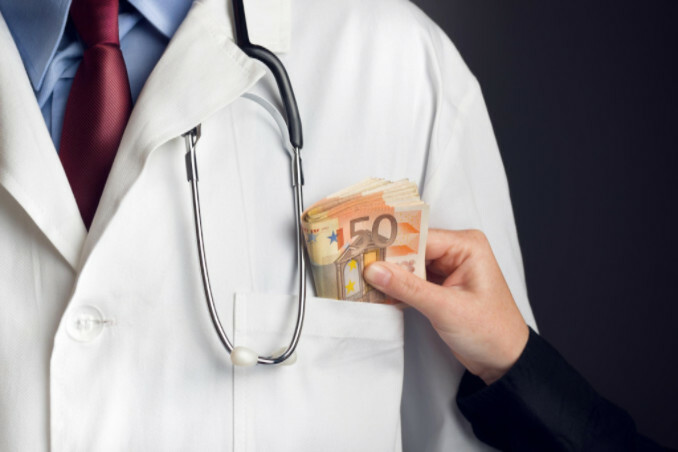 The Medicare Fraud Strike Force is a joint effort by the Justice Department and the U.S. Department of Health and Human Services. Since it began in 2007, the strike force has charged more than 3,500 persons for collective false billings of Medicare totalling more than $12.5 billion. Not everyone snared in such widespread stings should be considered guilty of healthcare fraud, and legal defenses are needed. To learn more about your legal options if you face such a charge, contact experienced Houston criminal defense attorney Neal Davis for a free legal review of your case. Regulatory compliance laws have become increasingly strict and complex for medical billing, referral services and charges to Medicaid and Medicare. Blue Cross fraud investigators also are at work. Perhaps you face a charge involving Medicare fraud, improper coding, improper billing, unnecessary medical treatment, Medicare audits, Stark Law violations, altered documents, improper insurance collection, duplicate billing or false medical claims. If so, learn about your legal rights and defenses. Contact the Neal Davis Law Firm today for a free legal review of your case in Houston, Harris County, Montgomery County and Fort Bend County.